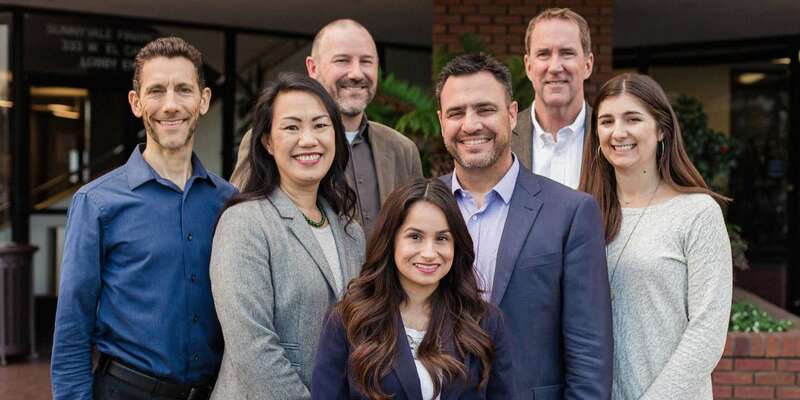 Members of the Silicon Valley Clean Energy Core Staff Implementation Team, left to right: Steve Attinger, Elaine Marshall, Kevin Armstrong, Andrea Pizano, Tim Kirby, Don Bray and Misty Mersich. Photo by Christie Goshe. Motivated by a common interest in taking bold and effective climate action, the cities of Sunnyvale, Cupertino and Mountain View and the County of Santa Clara formed an inter-jurisdictional partnership to develop Silicon Valley Clean Energy (SVCE), a community choice energy program that redefines where and how electricity is supplied in the South Bay. The Core Staff Implementation Team played a key role in the intense, multi-year development of the program and in educating the community and other cities on program benefits. As a result, within the first year of operation, SVCE reduced greenhouse gas emissions by 14 percent, lowered rates for customers and became the first community choice energy program in California to make carbon-free electricity the default product.